Are you tired using multiple ids or you miss some important messages of your alternate Gmail id ? Some have multiple email ids like personal id and business ids, in this case it becomes difficult to keep on switching between ids. 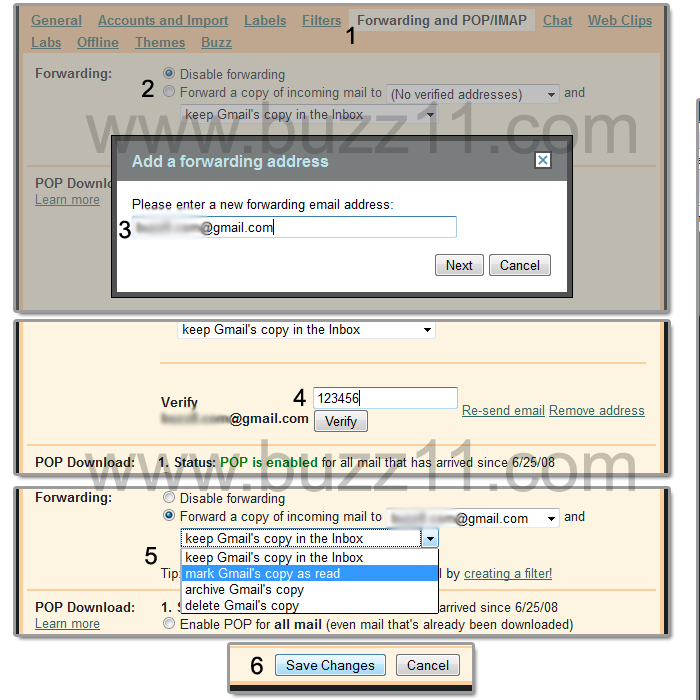 To overcome we can use the Forwarding option in Gmail. There we have "Forward a copy of incoming mail to" click on it. You will be asked to enter the email id to which the messages is to be forwarded. After adding your email id to which you need the messages to be forwarded, goto inbox of the given id, there you might have received a confirmation code. Submit the confirmation code in the verify text box. Once your id is verified your email id will be listed in Forwarding and POP/IMAP just select your id and select the actions to be made to the mails which will be in the current id. Final and important is to click Save Changes. Now enjoy reading mails of multiple id in single id.